Funny poems about sisters come in many forms. Some are witty, others nonsensical, and some have deeply sentimental undertones. Humor is the perfect tool for capturing the nature of sister relationships and poetry writers have created playful rhymes that children cherish. Some books offer collections of humorous poems about sisters, but many great poems on this topic are carefully nestled among the funny poems and stories in general anthologies. Poems about family help kids relate to the verse and adding humor heightens the appeal. Following are some rhyming stories and poetry about sisters that bring the special relationships to life. My Sister and I by P.K. Hallinan is a touching story full of poetic verse. The rhyming board book is ideal for toddlers with illustrations that are warm and dream-like. In addition, Hallinan has authored another rhyming sister book, We're Very Good Friends, My Sister and I that is part of a series about friendship. Hallinan's books are well known for their sweet sentiment and humor. My Sister and I is an example of a loving sister story set in rhyming verse that puts a smile on kids' faces while warming their hearts. Other funny poems about sisters appeal to the wacky side of sibling relationships. Bubble Trouble is a collection of funny poems and short stories for children. The collection includes imaginative tales including a story about a girl named Mabel and her baby brother. Mabel's little brother becomes engulfed in a bubble, causing havoc in their village. The magical story is filled with poetic elements that are perfect for reading aloud. Bubble Trouble pairs the light and airy verse with fanciful images created with watercolor and cutouts. The rhyming picture book is a great choice for children ages 4 to 8 years old. My Little Sister Ate One Hare stands out among funny poems about sisters because it is so surprising. The poem involves a very hungry little sister who chooses some unusual snacks. The story may remind you of "There Was an Old Woman Who Swallowed a Fly" with a decidedly different ending. The poetic elements are perfectly suited for this wacky counting book. The counting book zips through the gross snacking tale with a fast-paced rhythm that kids love hearing again and again. The illustrations are equally wacky as they feature the hungry little sister using her enormous mouth to devour her unusual treats. The illustrations' details are hilarious, especially little sister's shirt sporting the words "Save the Whales (For Dessert)"! 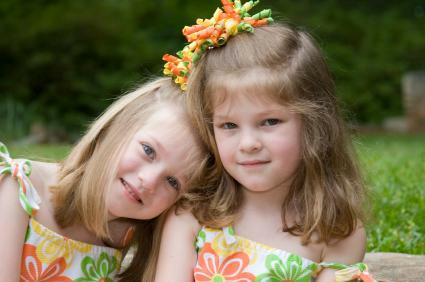 Funny poems about sisters embrace a special bond between siblings and sometimes the rhymes can be found in collections of humorous poems about brothers and sisters. Brothers and Sisters: Family Poems is a stellar collection of poetry that focuses on siblings. This book is a nice pick because it includes poetry capturing experiences throughout different stages of life. Brothers and Sisters: Family Poems looks at siblings from various perspectives. While the poems tend to be sentimental in nature, the collection is certain to put smiles on children's faces. Getting an early start on poetry promotes a love of verse that lasts a lifetime. Humorous sister poetry merges poetic elements with enjoyable tales. Gradually, children learn to love poems that are more complex, including best friend sister poems.